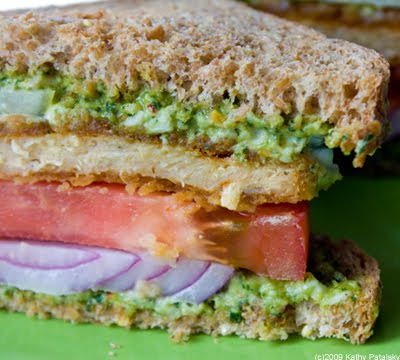 Vegan Chick'n Pesto Sandwich. Classic! 1. Make the pesto. Blend all the ingredients in a food processor. Scoop the pesto into a bowl. 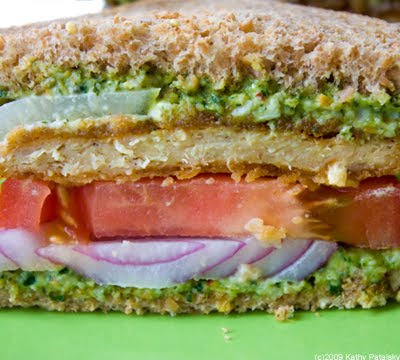 Note, you will have a lot of leftover pesto which is great for another sandwich, pasta or as a side dip. Store in fridge with a squirt of lemon juice or slices-keeps it from browning. 2. Toast your bread. And heat your Chick'n patty. I microwave mine on high for 1 minute. Super easy. 3. 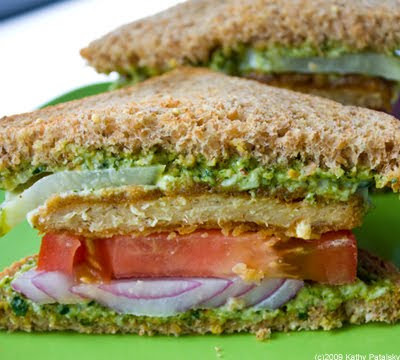 Spread pesto on both slices of bread. Nice and thick. 4. 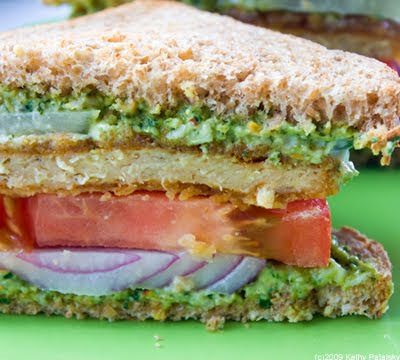 Build the sandwich from the bottom up: onion slice, tomato slice, chick'n patty, pickles and finally the top half of bread with the pesto. 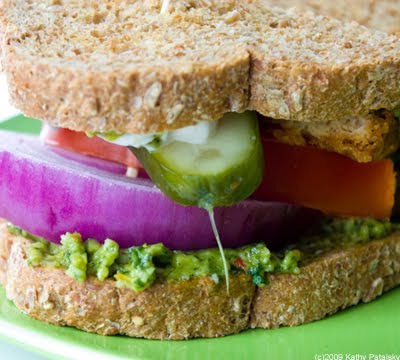 You can add a bit of pepper to the center of any of these layers. 5. Stick two toothpicks in the sandwich and slice.